According to scientists using a new way to measure past temperatures, parts of the ancient continent were as warm as California's coast today. The new measurements could help to improve climate models used for predicting future climate, as well as help scientists to better understand Antarctica's past. The findings were published the week of April 21 in the Proceedings of the National Academy of Sciences. 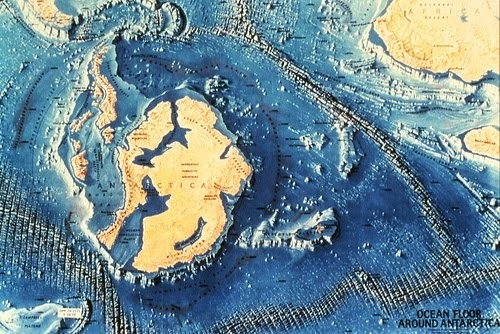 By measuring concentrations of rare isotopes in ancient fossil shells, the scientists found that temperatures in parts of Antarctica reached as high as 63 degrees Fahrenheit (17 degrees Celsius) during the Eocene, with parts of the southern Pacific Ocean reaching 72 degrees Fahrenheit (22 degrees Celsius), - similar to the average annual temperature off the coast of California today. Today Antarctica is consistently one of the coldest places on Earth, but it wasn't always that way. 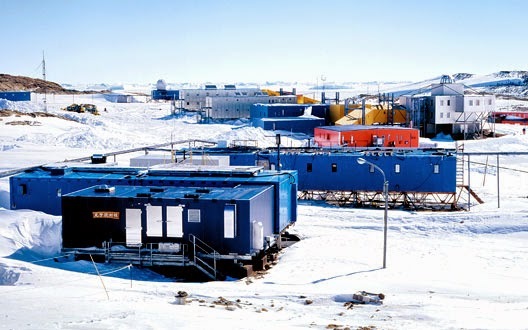 "By measuring past temperatures in different parts of Antarctica, this study gives us a clearer perspective of just how warm Antarctica was when the Earth's atmosphere contained much more CO2 than it does today," researchers told Science Daily. The continent remained warm even after the extinction of the dinosaurs, an era known as the Eocene (40-50 million years ago). And remarkably, forests were still there as early as 12 million years ago. It's hard to imagine, but Antarctica was ice-free and full of lush forests. This seemed feasible, given the fact that much could be manufactured from whales including nitroglycerin, margarine, and mechanical lubricants. It was, however, their goal to build a massive subterranean base there for operations named "base 211", but the war broke out and not much else information has been released on the subject. 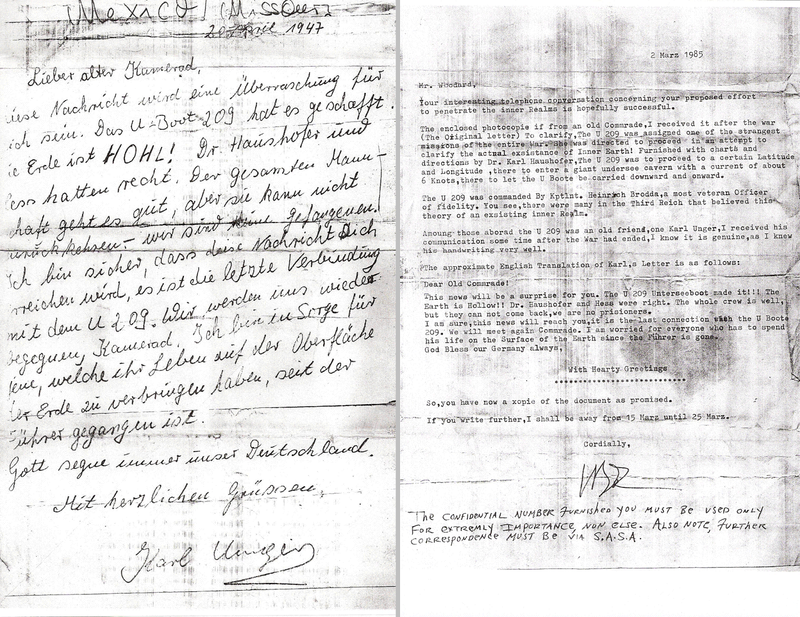 Although there is a known record of Nazi activity around Antarctica before May 1945 when Germany surrendered to the Allies, events after that date suggested something was happening that did not form a part of recognized world history. 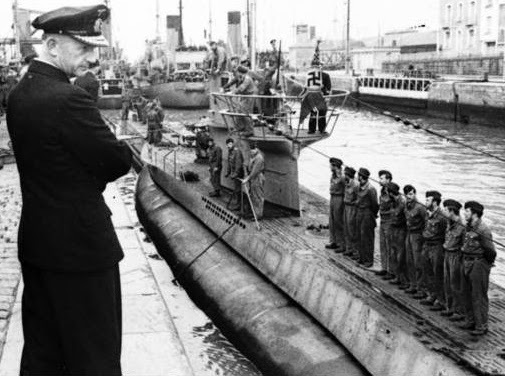 His contribution to the mystery of post-war Antarctic activity came in a statement he made in 1943 when he declared that the German submarine fleet had rebuilt "in another part of the world a Shangri-La land – an impregnable fortress." 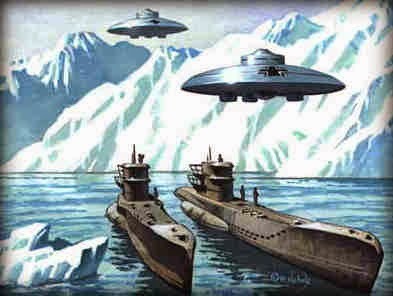 Right after World War II, Admiral Byrd, the famous American Arctic Explorer, was ordered to Antarctica by President Truman in 1946 with a military task force of 4,700 men, equipped with the latest military hardware including air craft carriers, submarines, helicopters, even tanks. 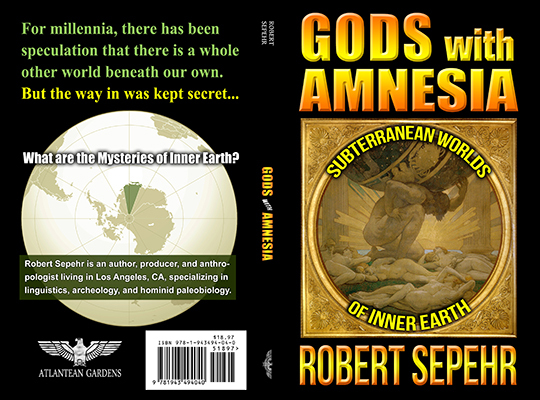 What was he looking for with such a substantial military force - in, of all places, Antarctica? There are all kinds of strong indications now suggesting that he was sent to smoke out Hitler's last stronghold there. The United States mission "Operation Highjump" ended in failure and defeat in under 8 weeks, far short of the 8 months that was intended, as Admiral Byrd headed back having suffered heavy casualties. In his unofficial comments to the South American press, Byrd stated that he was attacked by "enemy aircraft" that "could fly from pole to pole at incredible speed". Subsequently, the modern UFO phenomenon sprang up in 1947 and US disc development programs were initiated that have continued on to present-day "black project" aircraft operated by the CIA, NSA, and NRO. So the story of the Third Reich's advanced technology programs does not end with the collapse of the Third Reich itself.